* * Note: has bracelet to set (TIFFANY bracelet). 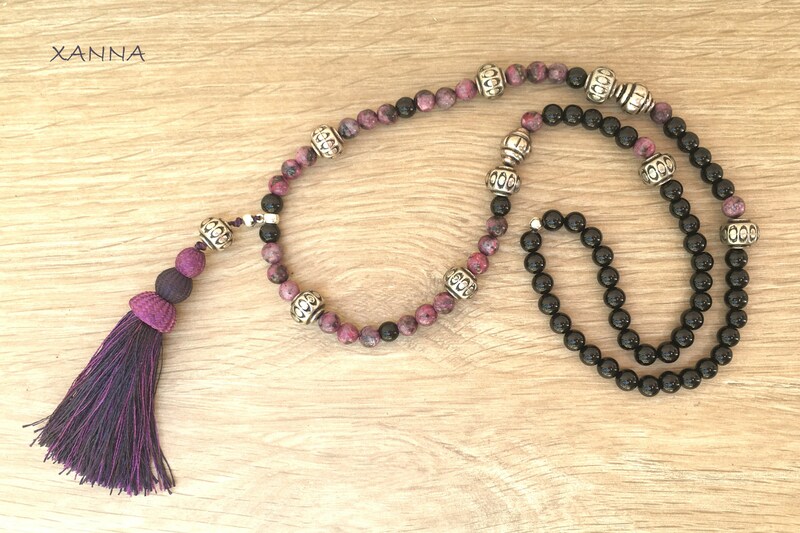 If you want to purchase the two pieces, we inform you beforehand to deactivate the shipping costs on ETSY, which will run to our account. 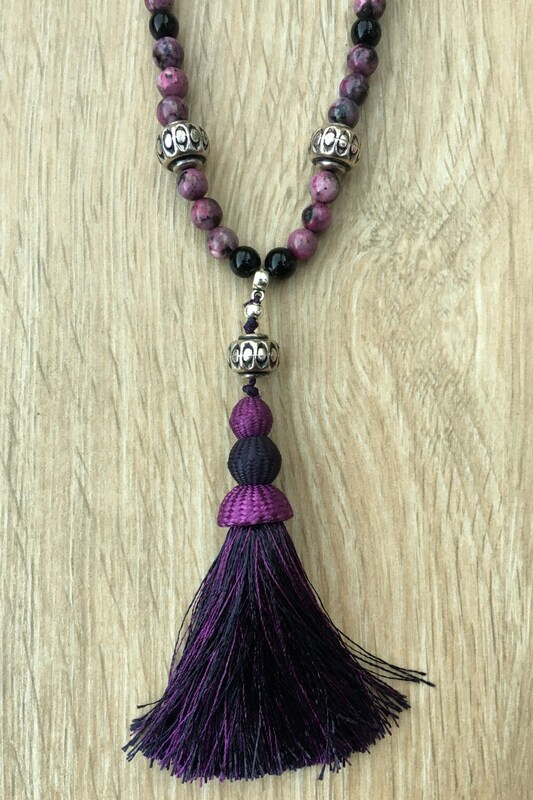 Fuchsia sesame jasper Beads and Black onyx, with silver beads and tassel to set with fuchsia shades tassel. 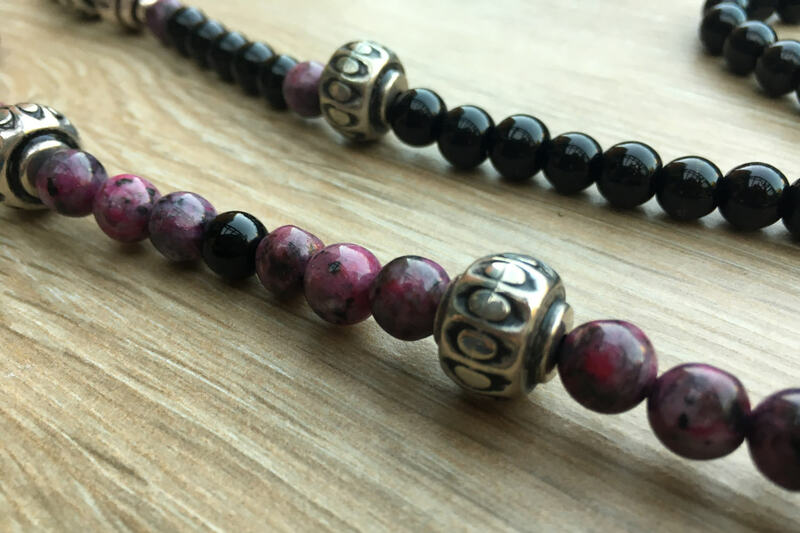 -Beads: Fuchsia sesame jasper (8 mm) and Black onyx (8mm). 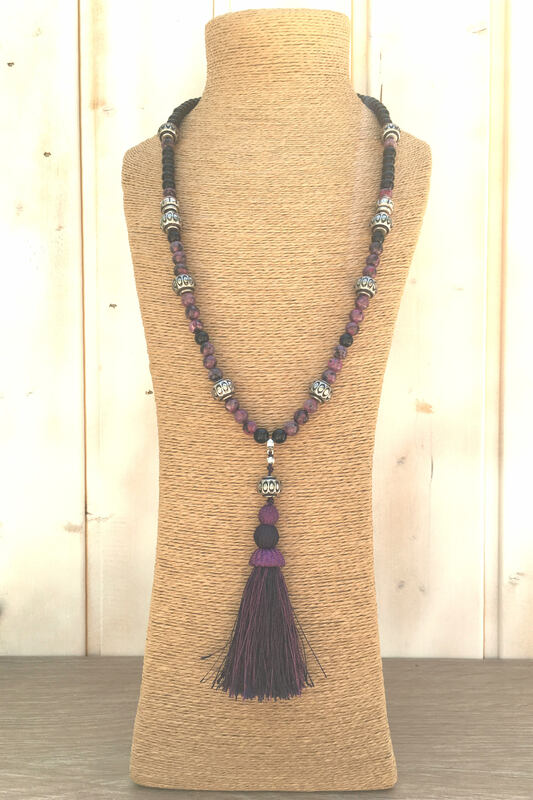 Total length of tasseled necklace: 50 cm. It brings happiness alleviating worries and prosperity. Objective thoughts. Help in decision making. It gives strength and perseverance. Zodiac signs: Leo, Sagittarius and Capricorn.